In this candid and bluntly humorous collection of essays on a wide range of topics, Lurie begins with a portrait of her life at Radcliffe during World War II when the smartest women in the country were treated like second-class citizens, the most scholarly among them expected to work in factories to support the war effort. She moves on to her unheralded, clumsy attempts and near failure to be a writer and, finally having reached a level of recognition, the good fortune of forming close relationships with other writers and editors and great thinkers, including Robert Silver of The New York Review of Books, the poet James Merrill, and the illustrator, Edward Gorey. On this fascinating journey, we are amused by her insightful, often delightfully funny meditations on topics such as “deconstruction” and beloved children’s literature series such as The Lion, the Witch and the Wardrobe, Harry Potter, and Babar. Words and Worlds is a crowning reminiscence from a much beloved and celebrated writer. Makes a powerful argument that how we choose to order the space we live and work in reveals far more about us…full of mischievous apercus…a mine of adroit observation, uncovering apparently humdrum details to reveal their unexpected, and occasionally poignant, human meaning. 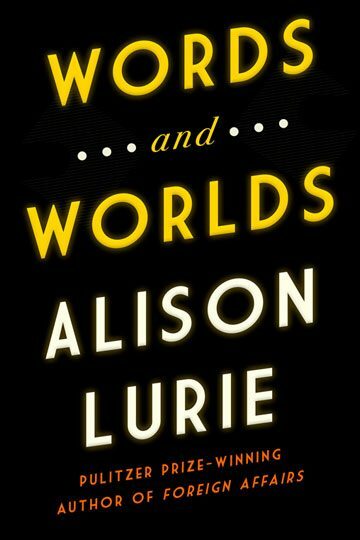 Alison Lurie, who won the Pulitzer Prize for her novel, Foreign Affairs, has published ten books of fiction, six works of non-fiction, and three collections of tales for children. 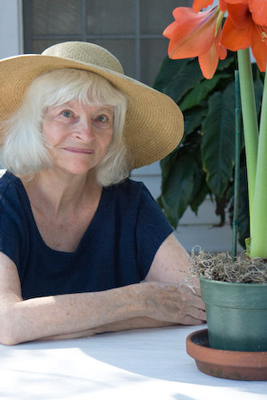 She is a professor emerita of English at Cornell University, and lives in upstate New York with her husband, the writer Edward Hower.